Factors beyond their control have created a cement shortage that is now pushing back numerous projects across the Midwest, contractors say. Frozen lakes, increased oil demand and plant breakdowns are three of the reasons crews in Wisconsin, Michigan and Minnesota are feeling the pinch, and some say it started in the spring when wet winter weather and partially frozen Great Lakes stalled cement shipments via boat. Frac sand and crude oil are also being blamed, with those industries snatching up rail car space. Others say the reason for the shortage is because multiple concrete manufacturing plants in Missouri and Iowa had breakdowns several weeks ago. "What we have is a cement transportation issue. In other words, we can't get the cement to Wisconsin fast enough," Kevin McMullen, president of the Wisconsin Concrete Pavement Association, told WUWM.com. Crews in Wisconsin, Michigan and Minnesota are all feeling the pinch, and some say it started in the spring when wet winter weather and partially frozen Great Lakes stalled cement shipments via boat. According to McMullen, the problem started in the spring when wet weather delayed construction season. However, companies continued to make cement and it started stockpiling at out-of-state suppliers, at which point they shut down production. Now transportation issues are preventing the cement from making it to Wisconsin. When cement comes from Michigan to eastern Wisconsin, there is a limit to how much ships can carry. When it comes to western Wisconsin, the shipping boats get held up in dredging projects on the Mississippi River. Adding to the issue, an Indiana supplier that transports cement via rail is having a hard time getting cars. "The oil industry is grabbing up rail cars as fast as they can go to haul frac sand, to haul oil to the refineries," McMullen said. "And in the fall of the year you complicate that even further with the hauling of grain and basically they're just having a problem getting rail cars." Brandon McNeilus, president and owner of Ready-Mix Concrete Company in Rochester, MN, told PostBulletin.com that two factors have contributed to the shortage: Environmental Protection Agency restrictions on coal plants and a lack of rail cars to carry cement. "Cars are handling more Canadian crude oil. This affects other producers who also use rail cars," said McNeilus. Projects in Minnesota that are depending on large amounts of concrete, such as the Vikings' new NFL stadium and the St. Croix River bridge, get first priority, according to CBSMinnesota. But those projects still feel the pinch, Cameron Snyder, communications manager at Mortenson Construction said. The contractor is building the new stadium, and Snyder said there have been some disruptions in the concrete supply due to partial shipments, delays and delivery restrictions. "[I]t's a serious issue and is not business as usual," Snyder said. In fact, contractors and the concrete industry have asked Minnesota Gov. Mark Dayton for an executive order that would allow truck drivers to increase their hours and haul loads of up to 100,000 pounds. 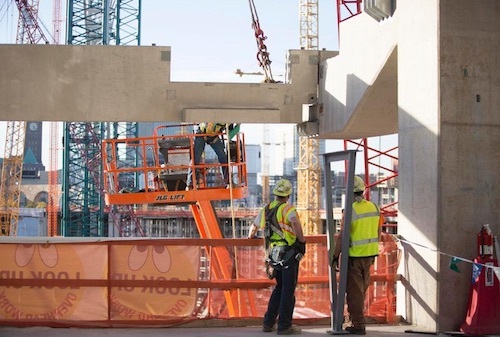 In Minnesota, projects like the new Vikings' stadium and the St. Croix Bridge project take priority for cement and concrete shipments. Many truck drivers spend most of their hours just waiting at the supplier for their shipment, KTVU.com reported. "It means if they go over at the terminal while they are waiting, they have to get out of the truck. This would let them finish the trip and get the product where it needs to go," said Fred Corrigan with the Aggregate and Ready Mix Association of Minnesota. Dayton said he will address the issue in a few weeks when he holds a railway summit. The Michigan Department of Transportation has said the shortage was not affecting MDOT projects, the Detroit Free Press reported. While some said there is a "frantic push" to finish projects before the cold weather arrives, transportation officials told the newspaper that road construction usually finishes in mid-November, which will free up supplies for other projects. The Detroit Free Press said that, according to U.S. Geological Survey information supplied by the Portland Cement Association, 5.3 million metric tons of cement were produced in 2007 and 2.2 million metric tons were consumed. By 2010, production was down to 3.1 million metric tons and consumption was at 1.6 million metric tons. 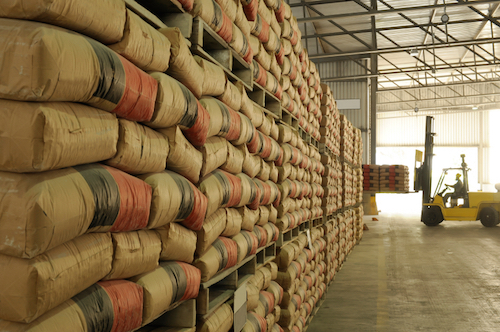 And in 2013, production climbed to 3.6 million metric tons while consumption stayed at 1.6 million metric tons.